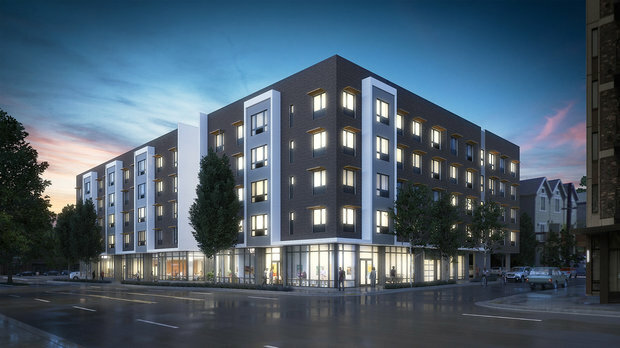 The Design Commission has approved a mixed use building in at NW 17th & Pettygrove, by GBD Architects for Holland Partner Group. 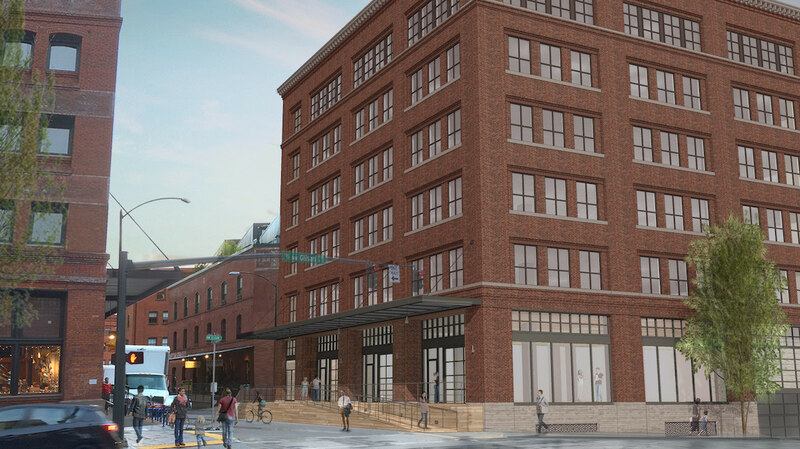 The building will include 196 residential units, with a mix of one-, two-, and three-bedroom units. Under the terms of a property tax exemption approved by the City Council, 40 of the units will be made available for at least 10 years to those earning 80% of area Median Family Income or less. 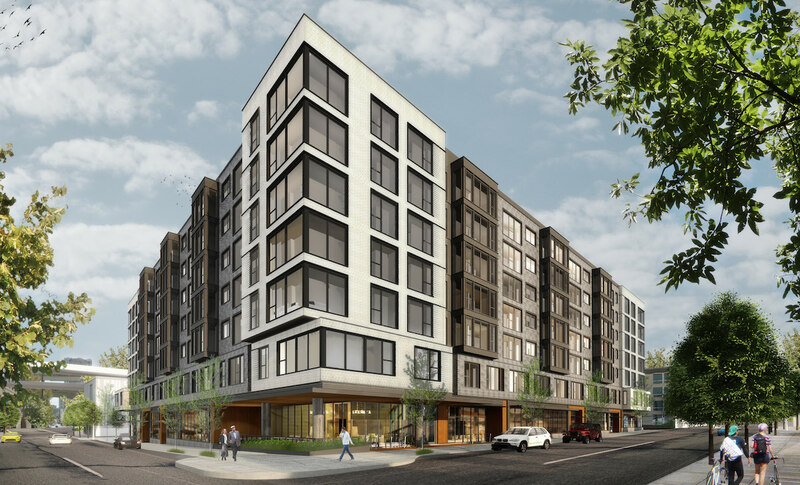 At the ground level the building will include retail spaces facing both NW 18th Ave and NW Pettygrove St. 119 vehicular parking space will be provided, in a partially below grade garage. 222 long term bicycle parking spaces will be provided, split between in-unit spaces and 156 spaces in the basement. 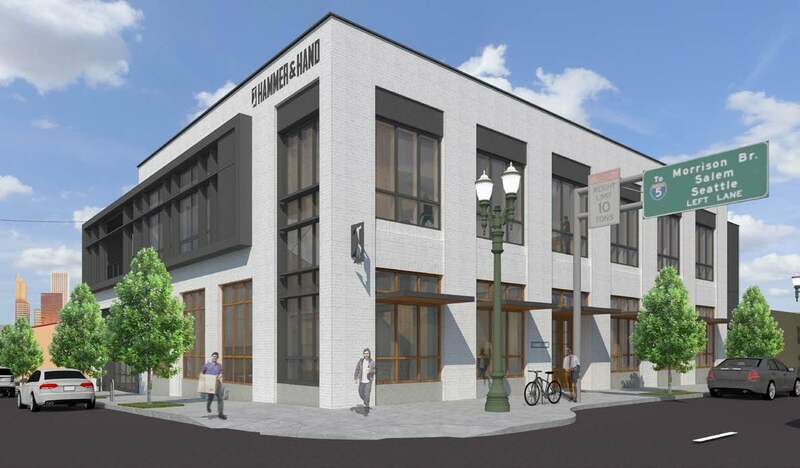 A new office and workshop for construction company Hammer & Hand has gone before the Historic Landmarks Commission for its first review. 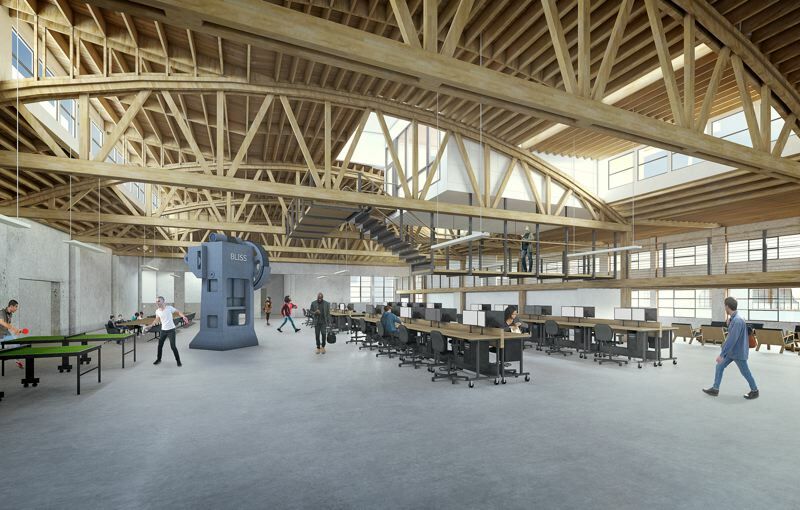 The two story building by Holst Architecture will include workshop space at the ground level, with office space and a roof deck above. 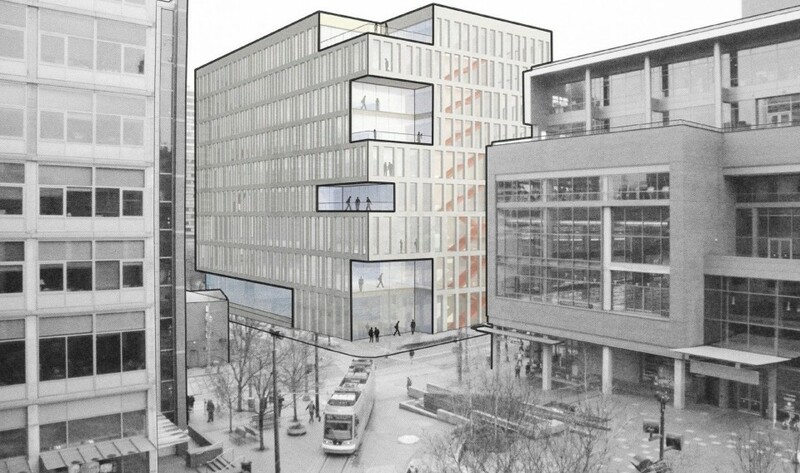 The project is being designed to meet Passive House standards, with the intention that the office portion of the building will achieve net zero energy use. No vehicular parking is proposed. 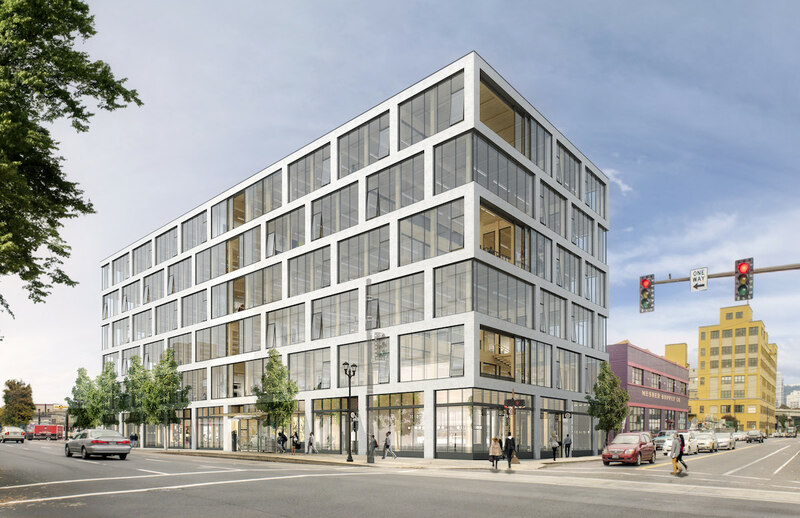 The Design Commission has approved a six story office building at 525 SE Martin Luther King Jr Blvd, designed by Hacker architects. 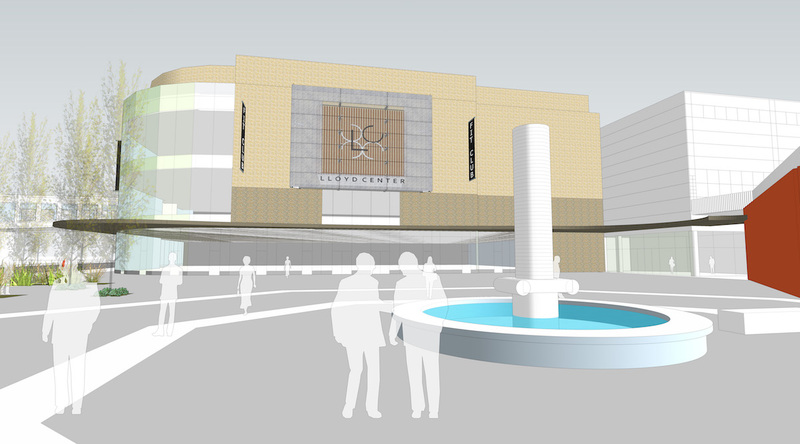 The 85′ tall building will include 5 retail spaces at the ground level. The project is being developed in collaboration by Urban Development + Partners and Beam Development. 48 long term bicycle parking spaces will be provided in the building. 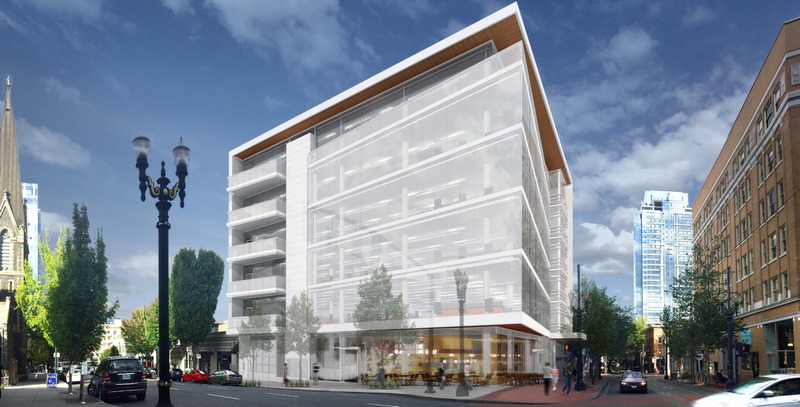 No on-site vehicular parking is proposed, however building tenants will have access to parking being built as part of the 550 SE MLK development, directly across the street.